This is one of the many versions of M1C jump helmets worn by French Union forces during the 1st Indo China war. 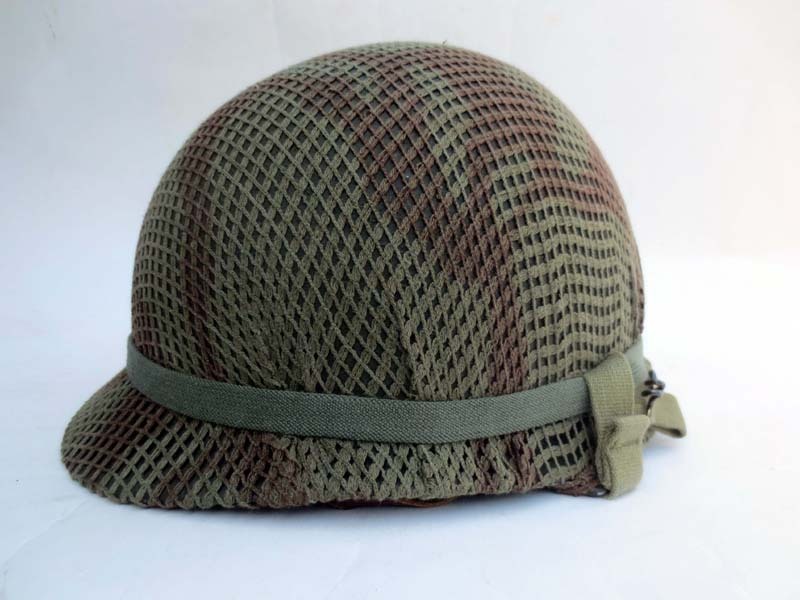 This helmet features a Carlisle bandage, secured under the net as was often done. 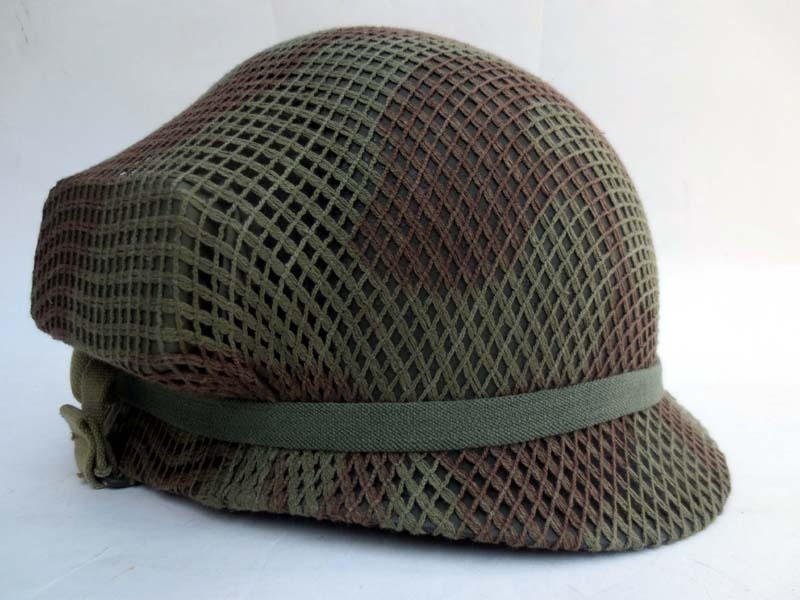 The helmet is also fitted with a unique French two color camo net.